Should we celebrate Australia Day? 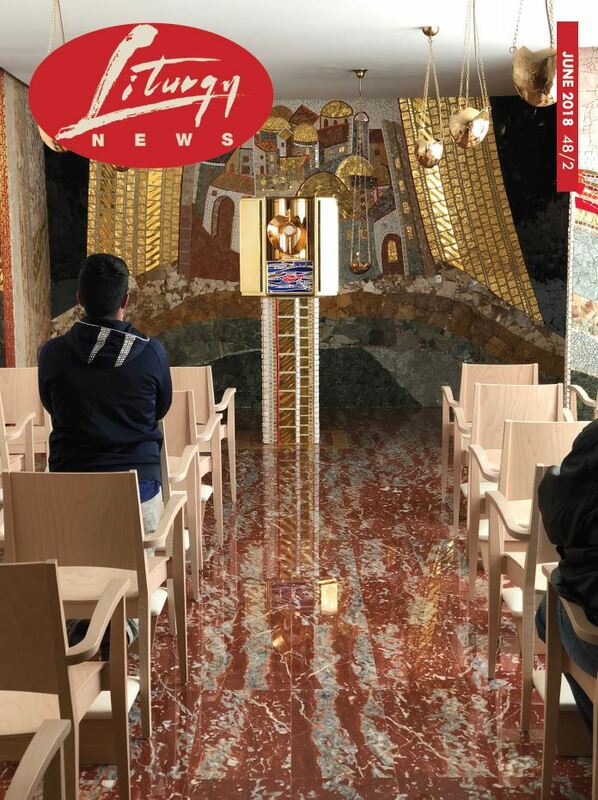 Welcome to this fortnight's edition of LITed: Liturgical Education News. Liturgy and liturgical formation are as important as we make it. How do we prioritise learning about liturgy? How can we work smarter not harder? In this edition of LITed we explore some issues around learning and promote the latest formation opportunities! James Robinson reflects on his first year as an education officer at Liturgy Brisbane. He shares his four biggest learnings about liturgical formation. Elizabeth Harrington challenges us to think about how we select liturgical ministers. Is it based on skill or seniority? Learning and formation does not have to take place in workshops or structured learning. This article about the Lectio Divina invites us into a simple way to pray and renew understandings of Scripture. Here at Liturgy Brisbane we are preparing to launch our new website. Part of the new site will have a portal to curated films and resources for Liturgical training. Use our DISCOVER portal to find as much training as you need, when you need it. Use DISCOVER to create learning experiences for your parish as well. Join us for our Liturgical Preparation Discussion Group. This week we discuss what we heard at Proclaim Conference, look ahead to the Plenary and consider Holy Days of Obligation. Join colleagues from across Australia as they gather to be informed and nourished about their ministry. 11-13th October in Melbourne. Registration $360 + travel and accommodation. ACU's Xavier Centre for Theological Formation presents Professor Richard Gaillardetz, Joseph Professor of Catholic Systematic Theology, Boston College. Saturday 4th August. Tickets $330. 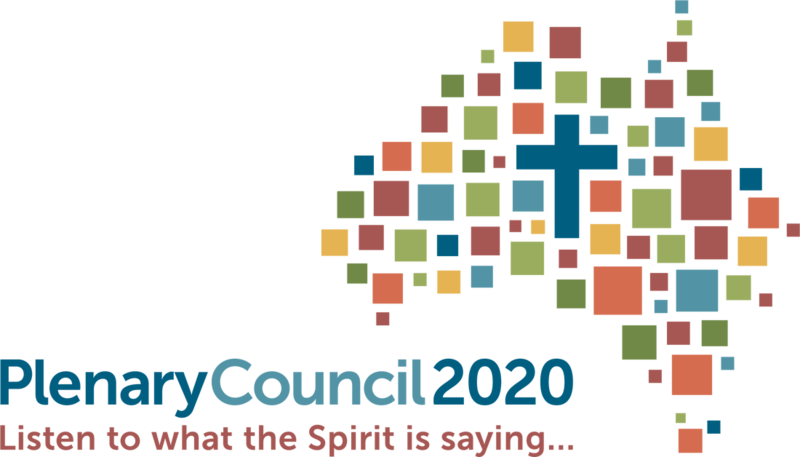 "...One of the more serious temptations which stifles boldness and zeal is a defeatism, which turns us into querulous and disillusioned pessimists, sourpusses...."
You can make your very own submission to the Plenary Council 2020. Take the short 20 minute survey to contribute to the conversation. You might like to consider mentioning liturgy and liturgical formation as a priority for the Australian Church as we plan for the future. Remember, the very first session at Vatican II was about the liturgy: the source and summit of who we are as Catholics. I wonder if that will hold true for the Plenary as well? 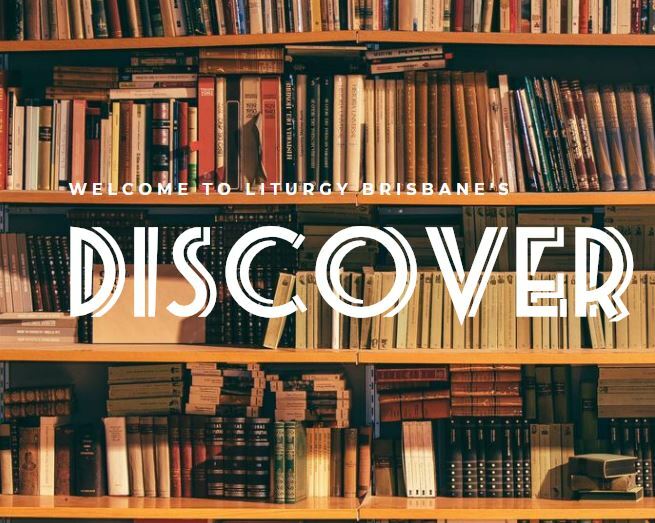 The team​ at Liturgy Brisbane are very proud to announce that our new website and online shop will be launched in July. We are mindful that people from across the world access our website for lots of different reasons. Our improved design and navigation will assist users in getting where they need to go quickly and easily! If you are accessing our site to LEARN about liturgy, you will find all of our support resources curated with increased search functionality. Find videos, documents and articles with ease! If you are coming to SHOP, our new system will recommend associated products and support materials. 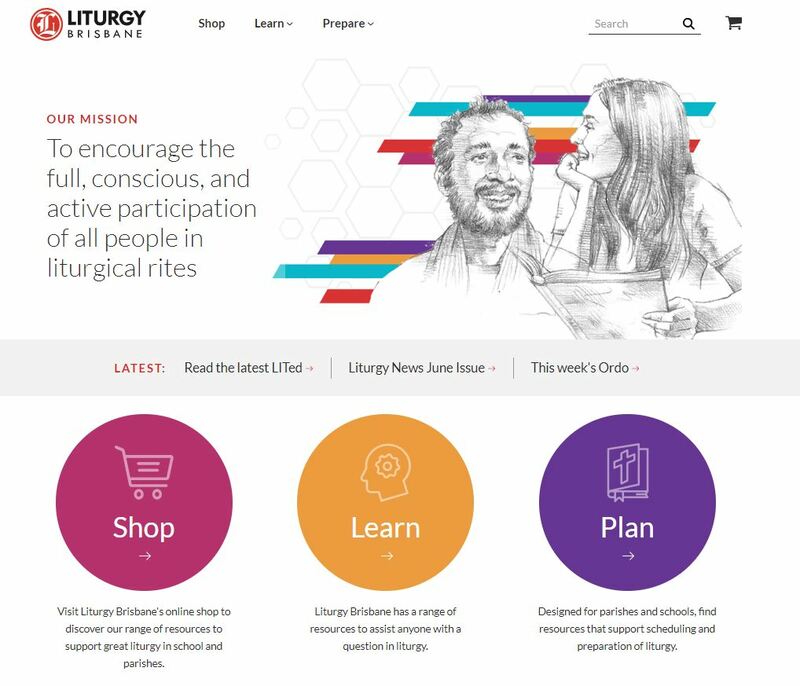 And, if you are coming to PREPARE liturgy, you will find calendars, templates, and our new online planning tool, LITURGIA to support your work. We are very excited about this next chapter at Liturgy Brisbane. We look forward to sharing more with you next month! The Liturgical Press produces great liturgical resources for the American Bishops Conference. Sign up to receive this free EBook from Liturgical Press to prepare better Prayers of the Faithful. Small Church Music is a site that offers music backing tracks of well-known and usually traditional hymn tunes as well as their texts. Note that only those hymns which are in the public domain and which have no copyright restriction have their lyrics freely available. The Australian Catholic Migrant and Refugee Office have released a kit of resources for Migrant and Refugee Week 20-26th August including a booklet and poster. Pope Francis recently released a letter to the faithful, 'Gaudete et exsultate or 'Rejoice and Be Glad' from Matthew 5:12. While it doesn't say too much about liturgy, the letter is still a good read - a reminder of the disposition we must bring to our ministry. ​This film from an American Franciscan community provides a brief, ten minute overview. Images used under Creative Commons Attribution 2.0. Full terms at http://creativecommons.org/licenses/by/2.0. Other images from Unsplash. ​2017. Used under license. Full terms and conditions.